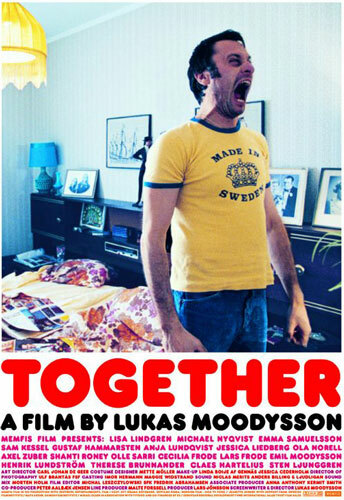 Directed by Lukas Moodysson, Together (2000), also known in its native Sweden as Tillsammans, is at once a comedy and a critique on the leftist politics of the 70s in Sweden. It tells the story of Elisabeth (Lisa Lindgren), who after a domestic violence incident with her partner Rolf (Michael Nyqvist, of Dragon Tattoo fame), flees the family home to live in a free-loving hippy commune with her brother, Göran (Gustaf Hammarsten). During her time at the commune, Elisabeth learns more about herself and her beliefs, whilst others learn about their own limits regarding politics, love, and their ability to tolerate and understand others. Lukas Moodysson has brought us a number of excellent films which have all varied in subject and tone, such as Lilja 4-ever (2002), Show Me Love (1998), and We Are The Best! (2013). Moodysson seems to have a real eye and ear for quirky situations and a strange sense of humour which I love. However, I’m torn on this film. Together is a really interesting story, has some good set-up, great acting and excellent direction. But this film’s approach to domestic violence is somewhat worrying. The story seems to have an understanding of the way that the typical cycle of violence occurs, but also seems to not understand it at the same time. By the end of the film, it seems to forget that domestic violence occurs in a cyclical manner, despite referencing this at the beginning of the film, and expects its audience to forget about it as well. As a result, by its end, it almost seems like a big bandaid has covered up the central conflict, and this feels frustrating and unsatisfying. The real success of Together is its acting talent, and the way the film is visually put together. Gustaf Hammarsten stands out as Göran, the lovable commune leader who learns to stand up for himself, whose character arc feels so rewarding by the film’s conclusion. The other characters at the commune are so lovable and weird, and also somewhat frustrating, but are all multi-faceted enough to keep the story bubbling along. Michael Nyqvist’s portrayal of angry and violent husband Rolf is also a highlight, with his many breakdowns expertly illustrated through his physical presentation. Meanwhile, the visuals of the film are stellar, with a muted colour palette that reminds you of a faded old photograph, and a 70s aesthetic that feels very authentic. 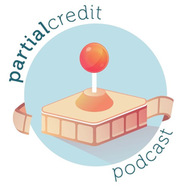 There is some very quirky direction through the use of crash zooms, and editing through quick cuts between each character’s reaction and response to their very strange set of individual circumstances. As aforementioned, Together is an enjoyable film. There are moments of sadness and humour, characters that you genuinely look forward to seeing on screen, and seeing how they interact with one another and learn from one another is very humorous indeed. Together is an example of multi-faceted character development done excellently. But there’s something both awkward and backward about the film’s approach to domestic violence that does leave a sour taste in your mouth by the film’s conclusion. You get the feeling that despite the film’s somewhat positive outlook on life, that there is more misery in store for our protagonists. Yet at the same time, there’s a lot to laugh about and some little things to feel happy about, peppered with utter bleakness in true Moodysson style. Thanks heaps Veronika! It’s strange because this film is so enjoyable but kind of problematic as well. Can’t go wrong with Moodysson’s sense of humour though! I find Scandinavian humour quite difficult to grasp at times and while I may not have laughed much at this film I did get the satirical points it was making (I think!). But the cast are always so committed in these films that one tends to become absorbed by the film anyway. Why thanks! I just love Scandinavian humour, it’s so weird.